Waste is a kind of precious resource which is put in the wrong place, which has become a large trouble all over the world. Nowadays, as the peak of urbanization level comes, the municipal solid waste treatment problems have become more severe. So we should try our best to protect the social environmental. 1. The rubbish occupies much land. Garbage has taken in much precious soil resources and human’s living spaces, which has seriously affected the development and growing of agriculture and industry. Large amount of waste has not only destroyed plants rooted on the earth surface, but also influenced the beauty of natural environment, and also broken the ecological balance of nature. 2. Polluting the environment. Solid waste contains various kinds of harmful components, so if these wastes can’t be disposed in right methods, they will pollute soil, air and water, and even have a harmful influence on various organisms including human being. 3. Spreading disease. Waste has a large number of microorganisms that are the breeding ground of germs, viruses and pests. Thus it will seriously damage people’s healthy. The filtrate of waste can change the components and structure of soil, and the harmful components can damage people’s health through the food chain. 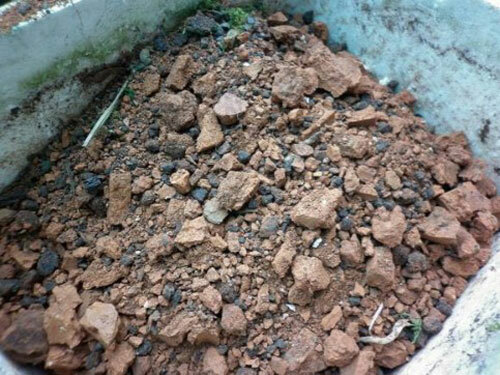 Waste can destroy the structure and physical property of soil, which causes the decline of the soil fertile and moisture. It has toxic heavy metals such as pathogenic microorganism, organic pollutants. 4. Under the foundation of rainwater, these harmful components can seriously pollute underground water and surface water. In this case, it has largely affect the living of aquatic organisms and the use of water resources. 5. Solid waste with small size can be floated in the air under the foundation of wind, which can aggravate the air pollution. A large number of garbage are exposed to the open air can generate odor, spread disease. 6. Ash pollution. Living waste after burning will generate much carbon black, whose major component is ash. Carbon atom is quite important composing element of materials, which has large content. In the process of combustion, the polymer compounds will generate a reaction to become a small particle of carbon black material, and these materials will raises under the function of air ascending motion, float in the air and then fall to the ground. Waste treatment is necessary for us. With the smaller and smaller differences between urban and rural development, the trend of rural to city, quality of living waste also have become bigger and bigger; as the waste materials increases, how to efficiently dispose waste has become an urgency problem for us. Many experts of domestic and overseas have put forward many disposal methods, such as landfill, waste burning to generate electric, etc. However, after the considerations of many respects, these waste treatment methods have theirs disadvantages. 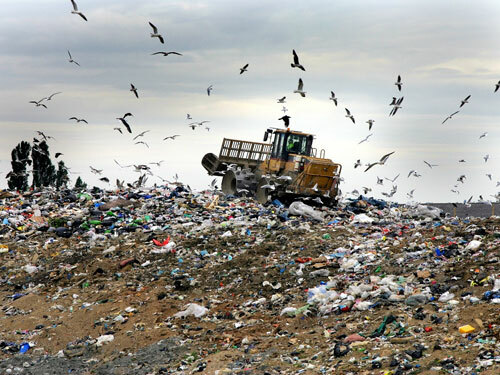 Landfill: landfill can cause a serious pollution to the land. Through a long-term landfill, the waste will be oxygenated, and it will decompose to generate a large number of harmful materials and cancerogenic substance, and these materials will cause serious pollution to the earth and atmosphere, and even will do harm to our next generation. Burning to generate electricity: it is also one of solid waste recycling methods, but the residual gas also can lead to serious air pollution, and the resulting slag also contains much harmful materials. Therefore, this method can cause secondary pollution. In the world, with the raising of national economy and the improvement of people’s living standard, the output of waste also has been increasing, and the components of garbage also have a great change. The biological organic waste content of living rubbish has been over 40%; the recoverable resources of living waste such as paper, plastic, glasses, metal, etc, has been over 40%. In order to well solve the garbage pollution problems, our company has researched a set of waste sorting plant to improve the former waste disposal methods. 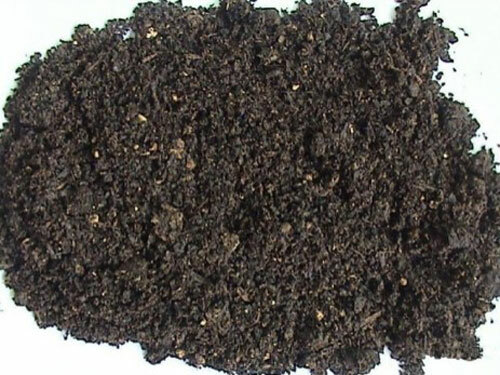 By this method, we can take different and efficient measures to divided waste mixtures into several parts: one part can be made into nutrient soil, which can be used as fertilizer of green plant and crops. 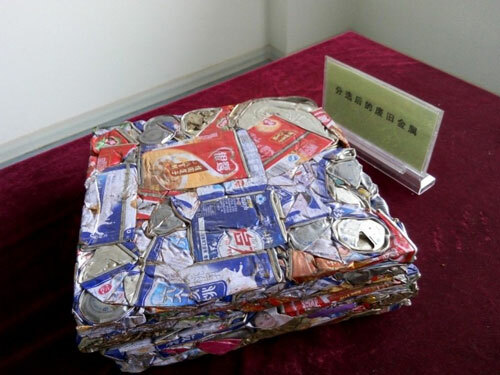 ; the sorted plastic can be processed into plastic granule to realize recycling; sorted paper can be made into paper pulp that can be used to produce paper again; so do the glasses and metal, all can be recycled. Our waste separation plant can not only solve the problems of environmental pollution, but also realize waste recycling, so that we can thoroughly realize the goal of turning waste into treasure, which will be beneficial for the whole world. Basing on the foreign advanced sorting technology, Beston company has made much research work on the components of municipal waste and process of waste sorting, made a perfect municipal solid waste sorting business plan, and developed a set of complete waste sorting line and supporting products which are suitable for every corner of the world. After the garbage compression transfer, our garbage sorting plant can realize the waste crushing, sorting, recycling and packing. The large-size waste, such as furniture, electric appliance, can be picked out by our manual sorting platform; and the small-size waste materials will be processed by waste crush. After sorting, the sorted materials will be packed and sold directly. Waste sorting equipment is the high-tech product with mechanical and electrical integration, and it has adopted the top-rate design principle and production technology, so it has perfect configuration and rational performance. 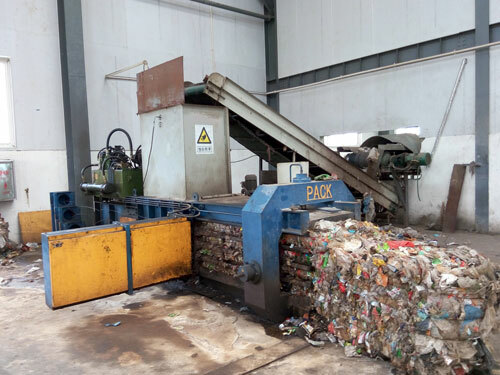 Meanwhile, the machine has introduced the domestic initial waste sorting line and garbage compression docking technology, so as to realize one-stop working pattern of waste collection, sorting, compression, transfer, which can largely increase the recycling ratio of waste materials. In addition, the perfect separation system can also increase the economic, environmental and social efficiency of waste transfer station, which can also meet the social requirement of waste recycling and the concept of sustainable scientific development. 2. Apart from plastic, we can also get glasses, waste metal, scrap metal, cans, etc. All of these materials can be recycled. 3. Some perishable or decaying substances such as ash and stone, food waste, leaves can be processed by higher temperature composting to be made into high-quality organic fertilizer. After sorting, the residual materials are little. Even though they have secondary landfill, it just occupies small places, and it has no oxidizing reaction, no secondary pollution. 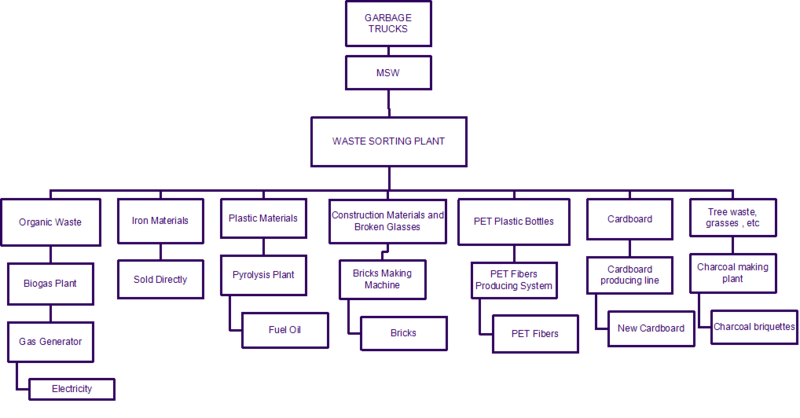 How does the waste recycling system work? 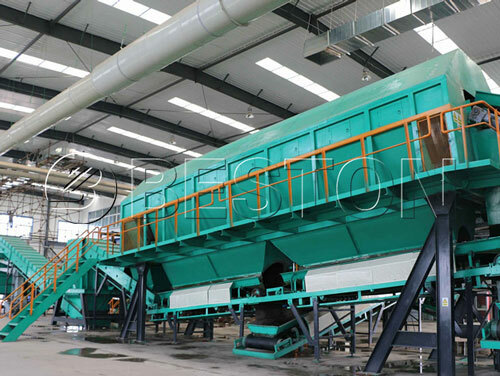 The materials which are larger than 100mm will be further processed by comprehensive winnowing machine, after which we also have set several manual sorting patterns to pick out larger-size materials. Finally, we can get the materials of paper, plastic film, metal, glasses, canes, etc. The residual organic materials will be used to produce fertilizer. * All the devices are equipped with manual automatic switch and emergency stop device, to ensure the safety of people; the emergency stop switch is set in a position where the device is easy to operate to prevent malfunctioning or electric shock accidents during the production and maintenance. * Beston Group has fully considered the operation, maintenance and repair for customers in the design and manufacturing process. * The machine for sorting waste is quite durable and reliable, while the waste sorting machine price is quite reasonable. Contact us for free quote now! In the period of construction, the waste treatment project has no any benefit but the expenditure and investment. As the construction period is about 10 to 12 months. With the national special grant funds in place, the project can recover all the cost. After the solid waste recycling facility has been put into production, the local government will pay for the waste disposal fee monthly. 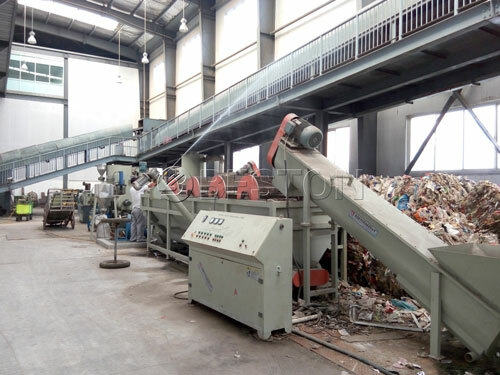 What’ s more, the waste recycling plant for sale has fully realized the resource recycling, such as the recycling of wood, plastic, ecological organic fertilizer, hollow brick and ferromagnetic material. The raw materials are obtained through living waste sorting, so the production cost is obviously lower than the industry cost. This urban solid waste management project belongs to the social public welfare environmental protection program, which has a deep influence on the improvement of resident life and ecological environment. It also makes a great contribution to promoting the economic construction of city. The implementation of this program has fundamentally solve the pollution caused by living waste, to protect the national soil resource. Therefore, carrying out this project not only can create economic benefit, but also bring the realistic and long-term social benefits. The construction of this trash sorter machine can produce high efficient organic compound fertilizer, which can add more organic materials into soil to improve the soil aggregate structure, and this kind of material also can increase the yield of agricultural production to increase the farmers’ income; in addition, this program also can drive some related industries to promote the development of local economy. The construction of the project and the implementation of related projects can provide social employment opportunities for laid-off workers to create the conditions for employment. After the completion of the garbage disposal site, the automated waste segregation system can provide a new way to treat living waste for city, and the urban waste can be fully processed. On the one hand, the construction of this program can eliminate the air pollution, water pollution and soil pollution all caused by the waste, and in this way, it is beneficial to protect the water and efficiently reduce the incidence of infectious diseases; on the other hand, this program also has decreased the waste caused by the living garbage and promoted the development of social productive forces. 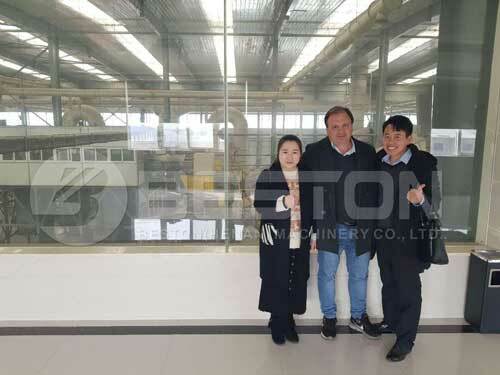 Beston always takes “pursuit of excellence, keep improving” as business philosophy, and determine to solve solid waste in each corner of the world in the near future and to create a cleaner, brighter, better future for the lager generations.